Home / Editor's Choice, Entertainment News, Featured Articles, Gossip and Drama, News, Photos, Politics / See the state of roads in Ghana, Just like Kenyans, our Ghanaian brothers have nothing to smile about (PHOTO). 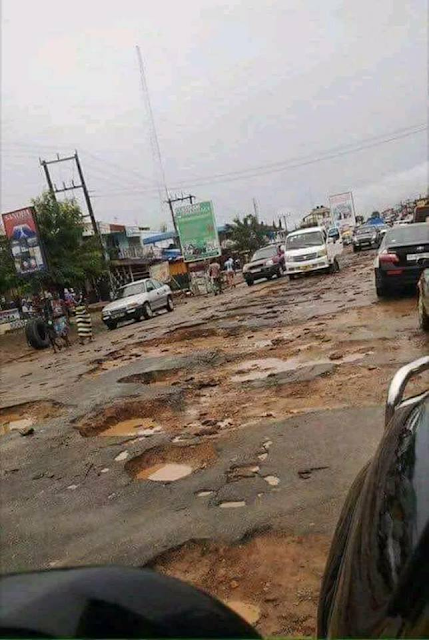 See the state of roads in Ghana, Just like Kenyans, our Ghanaian brothers have nothing to smile about (PHOTO). Saturday, September 15, 2018 - Just like Kenyans who have been grappling with poor leadership, Ghananians too have nothing to smile about. Just imagine this is a road on a busy street in Ghana. No wonder Trump called Africa a shithole continent.